The newly elected president of Costa Rica, Carlos Alvarado Quesada, has chosen María Amalia Revelo Raventós as the country’s new tourism minister. She replaces Mauricio Ventura as head of the department. Raventós holds a master’s degree in business administration from the prestigious INCAE Business School and a bachelor’s degree in statistics from the University of Costa Rica. She boasts over 40 years’ experience in the country’s tourism sector, where she has held a number of positions of high responsibility in both the public and private sectors. She was deputy manager and marketing director at the Costa Rican Tourism Board, where she developed and implemented key marketing strategies to promote the tourism industry in Costa Rica. Among her priorities as tourism minister are the promotion of medium-sized and small companies; the development of new local destinations and products, with a special focus on culture and gastronomy; and the strengthening of the joint work between the public and private sectors. Sustainability will be a cross axis in all her actions in the ministry. 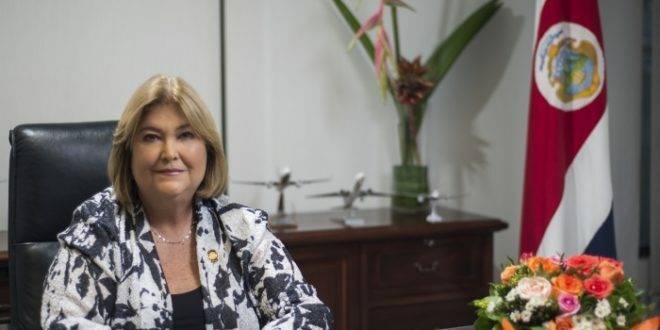 Just before the appointment, Raventós held the position of commercial director at Aeris Holding, where she was in charge of developing new flight routes and attracting airlines to Juan Santamaría International Airport (San José) and Daniel Oduber Quirós Aiport (Liberia).